Visuals and Variety. These two words guided our team’s efforts as we decided on features and improvements for the Spring 2017 release of Knowledge Guru. In our second release of the year, customers now have access to a new, modern look in our ‘Quest’ app and two new mini-games in our ‘Drive’ app. 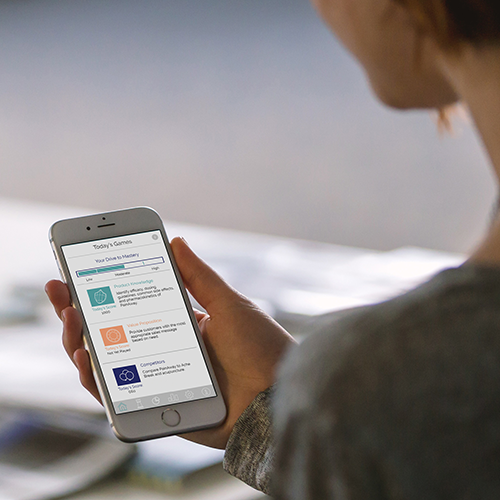 Since its launch in late 2014, Quest has become our most popular Knowledge Guru app. We have updated it with a new, modern look and feel. The minimalist game themes across both desktop and mobile and replaced player characters with game pieces that match the board game aesthetic. See the new look. 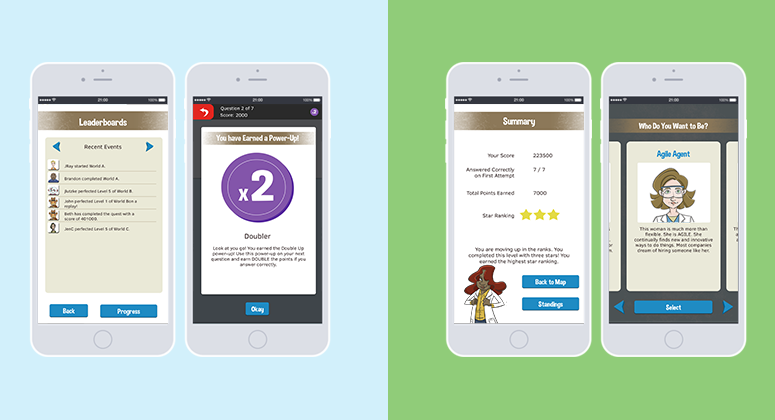 We’ve also added two new mini-games to our newest Knowledge Guru app, Drive. Fish For Facts gives you another option for helping learners build their knowledge comprehension. Forest Flight is a branching scenario game ideal for analysis, synthesis or evaluation. If you are an instructional designer, you may be noticing a pattern: each of Drive’s six mini-games is linked to specific levels on Bloom’s Taxonomy of Learning. Get a tour of Drive. We added the Drive training reinforcement app to the Knowledge Guru platform in late 2016. Players take a short confidence assessment, then receive short, daily mini-games based on their individualized training needs. Drive is a mobile-first training experience, and it is also available for play on desktop computers. Some visual changes, like an updated login experience for players and administrators, are just a preview of bigger changes still to come. We’ll share more in the months ahead. We will be showing off the latest Knowledge Guru features in booth 625 at the ATD International Conference & Expo. Coming to the conference and want to chat? Get in Touch to let us know! The Bottom-Line Performance team launched the Knowledge Guru in 2012. We are an award-winning learning design firm serving a wide range of corporate clients. Since 1995, we’ve helped clients choose the right learning solutions for their learners, while also helping them to design and develop learning tools effectively. 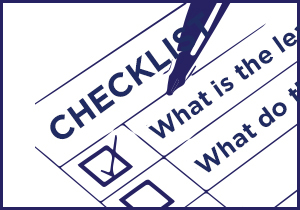 Areas of focus include product launches, customer training, internal process training, safety & compliance and more. We often use Knowledge Guru games as a pre-work or reinforcement activity in the custom curriculums we create. 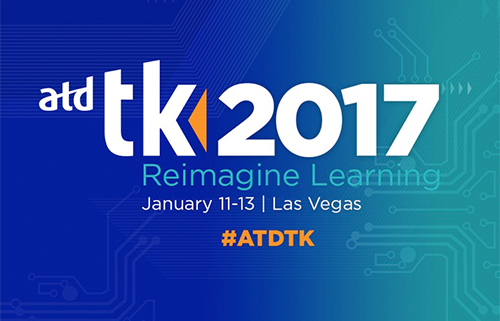 We’re speaking and exhibiting at our fourth straight ATD TechKnowledge conference in Las Vegas, Nevada this week. Attendees are in for a treat, as ATD always hosts excellent speakers, top-notch workshops and hands-on learning sessions. The conference will commence Wednesday, January 11th and end Friday, January 13th. I selected my top six sessions and have listed them below. Two of them are presented by Bottom-Line Performance team members: one on mobile learning and the other on learning game design. BLP will also be exhibiting our Knowledge Guru platform during expo hours in booth 410. We hope to see you there! Your employees are already learning on their mobile devices. They are used to interacting with apps and websites that provide an excellent user experience. Unfortunately, some corporate training programs struggle to even provide an adequate user experience. And while mobile learning adoption is increasing, many organizations still lag behind. This session is presented by two of BLP’s marketing team members, Steven and Jake. They will show how the design principles of the increasingly mobile web can make training more effective and improve learner adoption rates. You’ll learn what responsive web design can teach learning and development, and hear about research on how clean, mobile-inspired design improves results. You’ll also see examples of responsive web apps and native apps that were designed to wow learners on mobile devices, and how various design characteristics contribute to the user experience. If you’re interested in augmented reality and want useful tips on what makes (or breaks) an interface and user experience for AR, this session is for you. Join the speaker as he details how his company uses human-centered design processes to create dynamic, approachable AR experiences for users of all skill levels. You’ll get an introduction to the current state of AR design, see why AR designs fail, and find out how to make yours more successful. The speaker will share real-world examples and case studies. Are you interested in learning games and gamification? 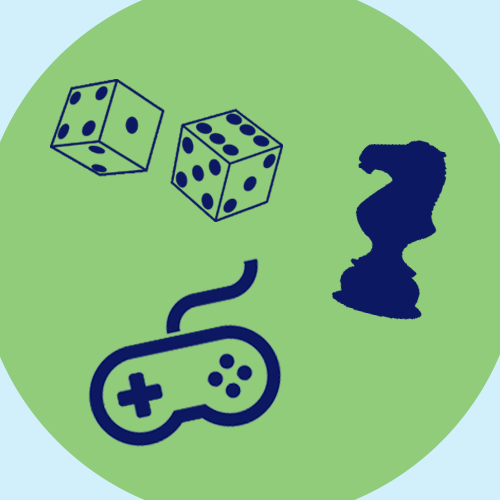 BLP President, Sharon Boller, will give this session on six lessons from the trenches: 1) play games to make good games; 2) playtest; 3) choose game elements that support learning goals; 4) help players figure out how to play; 5) less is better; and 6) scoring is harder to get right than you think. For each lesson, you get examples and learn best practices to follow and pitfalls to avoid. You’ll also see examples of “good” and “bad” programs, as well as the iteration involved in going from ineffective (bad) to effective (good) games. In this session, you’ll explore apps that can help you build animated videos in less than an hour, create comics without needing to draw, quickly record your own podcasts, and make people who think they can’t draw look like competent artists. You’ll also learn about physical tools that can push your mobile devices even further. By learning more about apps and tools you can use to create some of the media you need, and using a device you already own, you can become more efficient and keep project budgets down. Instructional designers tend to think content first and then action. Game designers think action first. As a result, most games are engaging, intriguing, and immersive. Most instruction tends to be boring and perfunctory. Simply changing your mindset from instructional designer to game designer will help you to create engaging and effective instruction. Learn five methods to help you think like a game designer and change your stale training into an exciting and interesting experience for the learners. Explore how game designers engage players and immerse them in the game environment. Discover how games foster action and activity. This session is a case study of how Barton Health made their compliance training program more effective and engaging. 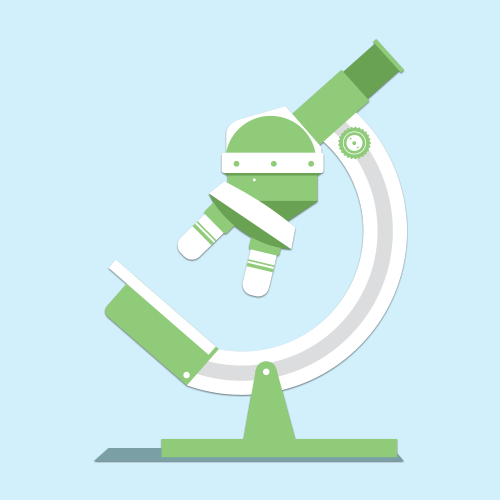 Although the healthcare industry demands that their employees receive annual training on compliance topics, the company found ways to shorten, sweeten, and generally make the training less painful. In this session, you will learn about the journey Barton Health took in working with organization leadership, subject matter experts, and the design team. You’ll explore strategies to consolidate and simplify compliance topics, as well as strategies to talk to different stakeholders about compliance training. When game elements are carefully linked to learning objectives, good things happen. And when the games are designed or chosen based on the characteristics of target learners, great things happen. 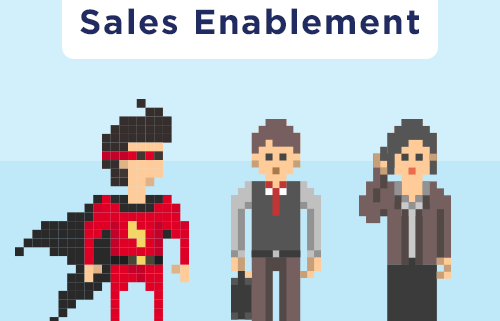 This is why so many sales training professionals have started to implement games into their sales enablement programs. They’re interested in going much further than a quick energizer activity. 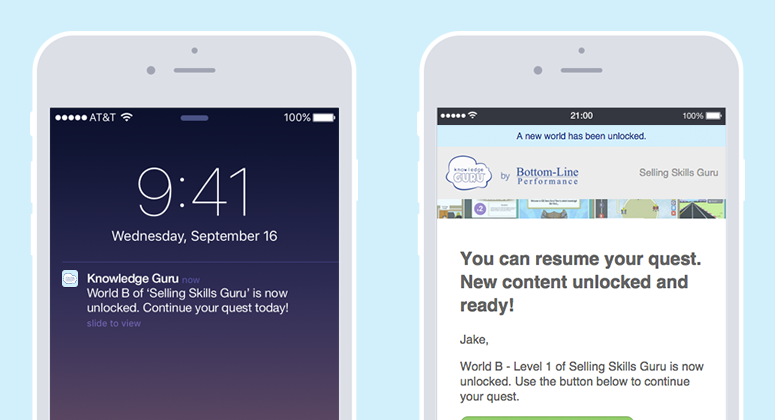 Today’s sales trainers are pairing games with mobile reinforcement and microlearning to help sales reps be successful. And while many of our customers use the Knowledge Guru platform for sales enablement, it is not always the right type of game-based solution for the learning need. Games are seldom the only learning solution required, either. Most sales enablement programs use blended learning to combine games, mobile, eLearning, video, roleplay and in-person coaching. Mobile games are often used as part of live events for application practice as well as for microlearning and reinforcement. We use board games to encourage team discussion, foster collaboration to achieve goals, provide application practice and/or provide recall practice. 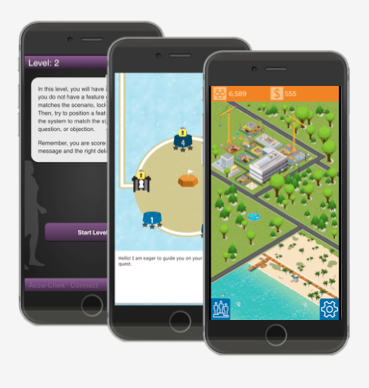 Online computer games work great for application practice, pre-work for live events and post-training reinforcement depending on learners’ device of choice. 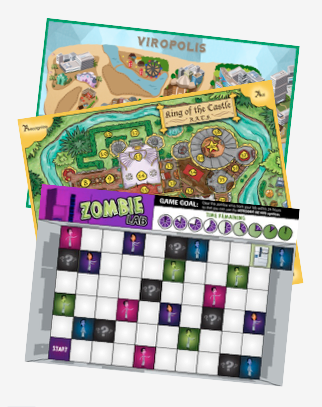 There are many different game elements to choose from, depending on the learning need. If you’d like to learn more, Sharon Boller has written a white paper showing how different game elements link to the four elements required for learning to happen. For example, Knowledge Guru games use game goals, challenges and reward structures and story to increase learner motivation. No matter what type of game you are incorporating into your learning curriculum, you’ll want to follow these best practices. Design game to meet specific learning objectives. Focus the game on more than winning/losing. Embed learning within curriculum; include reflection activities. Get learners comfortable with rules and game play before starting – or build in tutorial guidance. Keep rules, scoring, and leveling simple. Create ways for learners to work in groups or teams. Match cognitive activities in the game to the cognitive activities required on the job. Make sure winning is the result of knowledge or skill acquisition – and not chance. Plan for replay-ability; you want repetition and you want people to be able to try again. The recording of our “Sales Enablement and Beyond” webinar features a global product launch case study where Knowledge Guru was used along with a variety of custom games. It also includes tips for linking games to learning and implementing games as a learning strategy. Some learning trends end up changing the corporate learning world for good. Others turn out to be fads, here today and gone tomorrow. But no matter what their staying power might be, trends become popular for a reason. Either the trend is being put in practice in a meaningful way or the idea of the trend is closely tied to a common pain point. 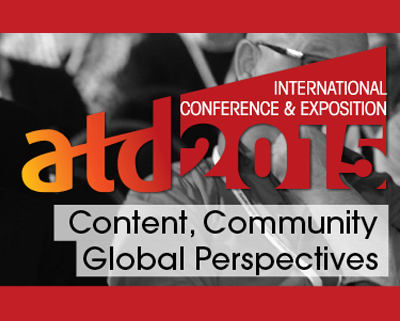 The ATD International Conference (May 22-25 in Denver) promises to be a great way to learn about the latest learning trends and to check in on the trends that have been growing over the last several years. ATD is the largest conference dedicated to the corporate L&D space, so sorting through the list of sessions and exhibitors can be daunting. If you’re interested in learning about “the trends” at ATD ICE, consider this article your ATD Conference Survival Guide. 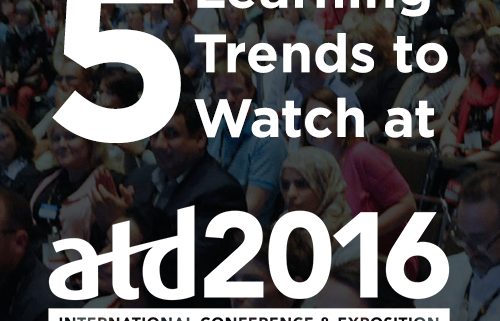 Here are five trends to watch for at the ATD conference, along with a suggested session at ATD ICE 2016 that covers the trend. The trends are listed in the order the sessions occur, so you can consider this your very own “Learning Technology Track” if you’d like! Microlearning involves delivering learning experiences in small but meaningful chunks. 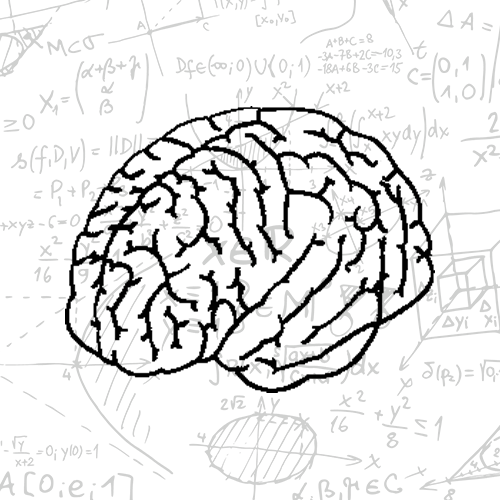 Think short, targeted bursts of learning instead of lengthy lectures or courses. Microlearning is either available on-demand or pushed to learners in regular intervals. Plenty of vendors will tell you that microlearning is all about millennials, although research fails to back that up. Microlearning is really being driven by a shift in media consumption habits that impacts all generations. And while it is a highly useful learning method, let us be the first to offer a word of caution. Ah yes, our favorite trend. We’ve been supporting the use of games and gamification for learning for almost 10 years now. This trend is more mature than the others: Gartner says it is finally headed to the mainstream. Game-based learning means that learning happens through, you guessed it, a game with a defined game goal and learning goal. Sometimes, a learning game is called a serious game. 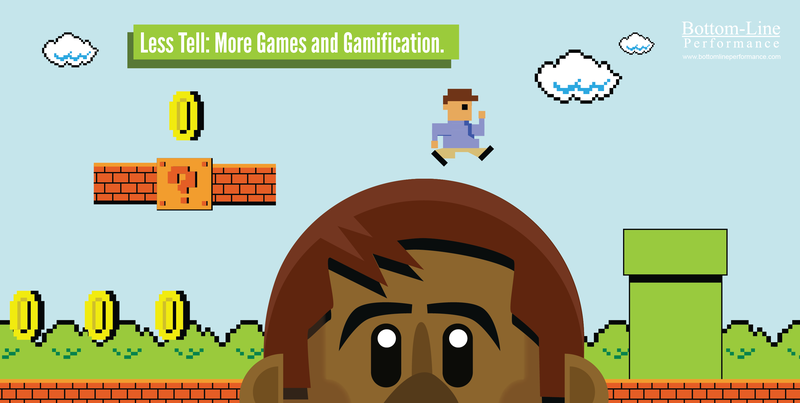 Gamification is the application of game mechanics and game elements to non-game activities. Whichever side of the coin you are interested in, you can learn more about it at ATD ICE. This session occurs at the same time as our suggested adaptive learning session, so pick your favorite! Adaptive learning is a trend that is still farther out on the horizon, although some great examples of it already exist. Essentially, the learning content (the output) changes based on the performance of the learner (the input). 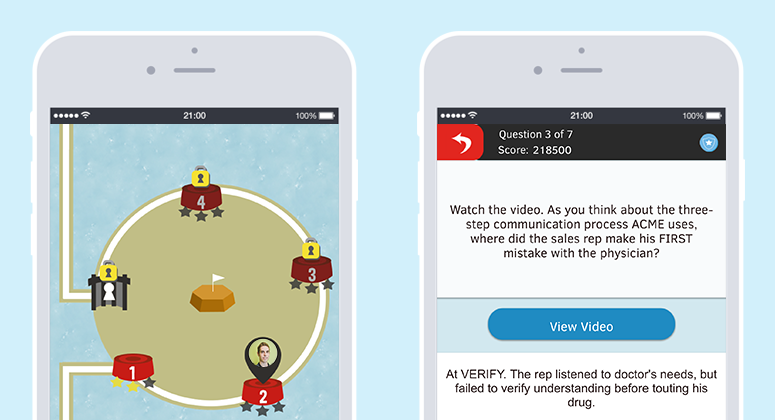 A great example of adaptive learning that also uses gamification is the brain training platform Elevate, available for free on iOS and Android. Our own Knowledge Guru platform incorporates adaptive learning in the minigames learners play at the end of each topic. 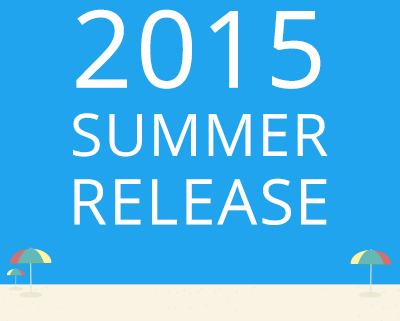 The xAPI is another trend that was being talked about several years ago. It’s been called many different names (Tin Can API, Experience API, xAPI) and promises to eventually replace SCORM as the standard for learning measurement. xAPI is useful because it allows for a wider variety of experiences, such as the various learning trends described here, to be tracked in a system of record like an LMS. xAPI also allows for more detailed and useful learning analytics to be captured. Last but certainly not least, you can learn about how learning experiences are being created for the device you’ll likely be holding in your hand for the majority of the conference. Mobile learning has come a long way since it was first being hyped up at conferences, and a growing number of organizations actively deploy mobile-first learning experiences to their employees. The effective use of mobile is essential to making many of the other trends I have described possible. The corporate training world has come a long way over the last several years. While unwieldy Powerpoint slides and lengthy webinars are still out there, most organizations know better. The important message that “one and done” is never a sound training strategy is getting through to people, which explains the uptick in interest in learning products designed to improve knowledge retention. When knowledge retention is the goal, the mobile phone is often the delivery method of choice. It’s not a generational thing: most people are absolutely addicted to their phones and spend lots of time consuming content on these devices. With the launch of our new smartphone app for Knowledge Guru, we are excited to bring the learning science that makes the platform so effective for knowledge retention to learners’ mobile devices. Your learners are probably busy people and need consistent reminders and encouragement to re-engage with training content. Your app or game could be ten times more interesting than the eLearning courses on your LMS and still not be enough to pull people in without frequent reminders. 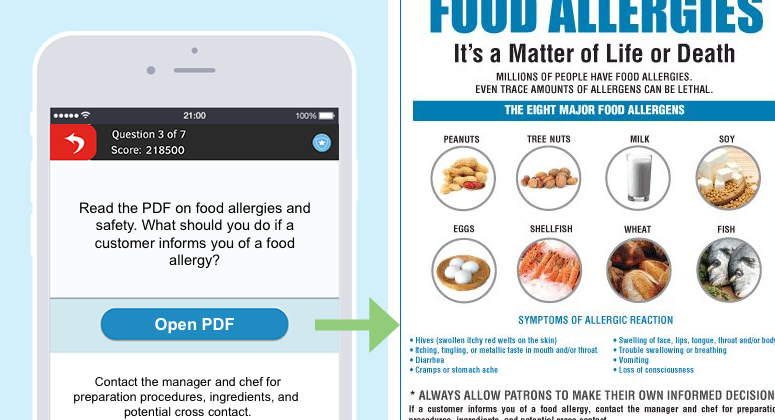 When possible, give learners the option of either receiving push notifications or email reminders prompting them to answer questions and re-engage with your content. Mobile games that are popular with consumers, such as Clash of Clans and FarmVille, are designed to be played in just a few minutes at time. This usage pattern is ideal for increasing knowledge retention: we learn and remember more when training sessions are spaced out into small chunks over time. Games that only require a few minutes of play a time yet encourage repeat play are best for helping learners remember. Whether or not a game is fun is subjective, so it is important to understand the preferences of your target learners. 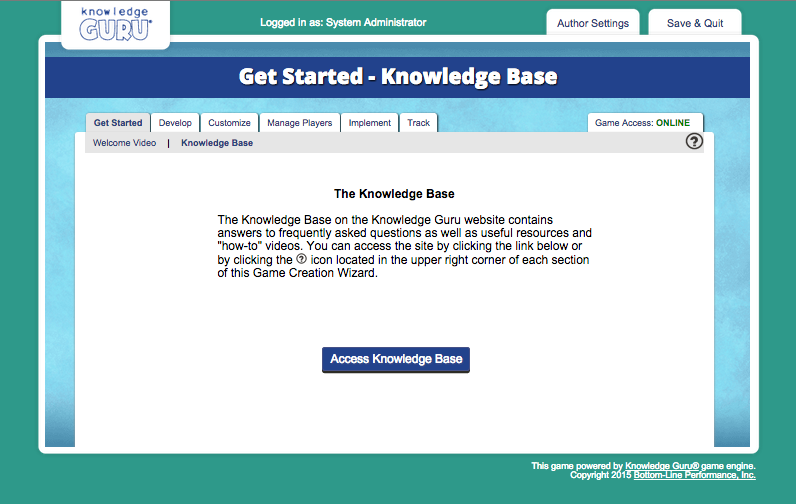 For example, some organizations opt for a custom Knowledge Guru theme so that the setting and characters feel appropriate to their players. It’s also important to keep retention-based games simple: as a general rule, games designed to increase retention should be easy to play so that learners do not spend too much mental energy learning the rules of the game. You’ll be surprised how simple a retention-driven game can be when learners are motivated to increase their knowledge. Sometimes, the goal is not to help learners recall something from memory but rather to help them find and locate the correct information. In these cases, linking to external resources such as PDFs or online tools from within the game itself can be highly useful. If the game is question-and-answer driven, be sure to incorporate mixed media such as images and video to provide a richer learning experience. The benefit of using a mobile retention tool is that it is probably not stuck within the walls of your LMS. This means that a wider variety of analytics are available! 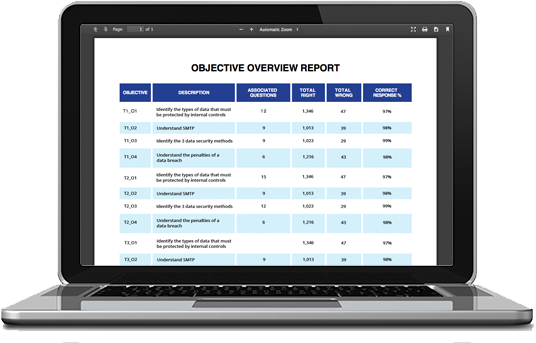 Use analytics to track what learning objectives and questions learners are struggling with, then send out further reinforcement on the problem areas. Continue your mobile learning research! Find out if your training is mobile friendly, or mobile first… and why it matters. Read Is Your Training “Mobile Friendly” or “Mobile First”? on our Bottom-Line Performance blog. Fall is in the air. For us at BLP, that means it’s DevLearn season. 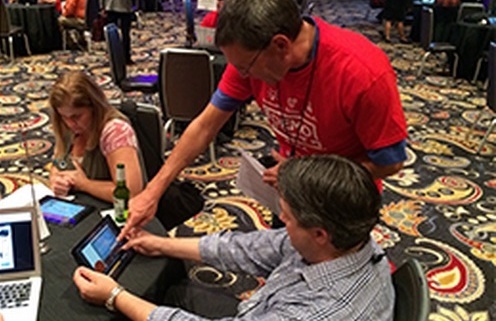 DevLearn is the premier learning conference for emerging trends and technology. Our team has attended DevLearn for years to learn about the latest, greatest learning solutions before they “hit the shelves” for most of our clients. Since 2012, we have attended the conference as exhibitors to show off the latest releases of our Knowledge Guru platform. Each year we have attended DevLearn, Knowledge Guru seems to have grown so much from the previous year. But while we have added features and functionality, the core value proposition (help employees learn and remember things like product knowledge, policies and procedures) remains the same. On Tuesday 9/29, BLP President Sharon Boller partners with Dr. Karl Kapp to deliver their acclaimed workshop, “Play to Learn – Designing Effective Learning Games.” Participants will spend the second half of the workshop building a paper prototype of their own learning game. More Info. We will show off the latest features of our Knowledge Guru platform in Booth 216 of the expo. You’ll be able to catch a glimpse of our soon-to-be-released smartphone app for Knowledge Guru as well as see the latest custom learning solutions we have created. 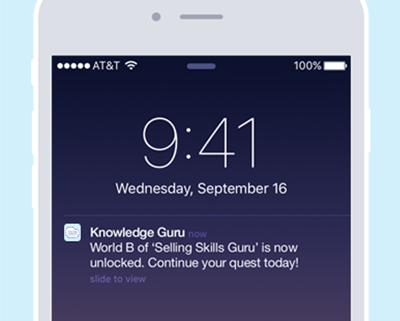 One attendee will win a Knowledge Guru subscription each day. Let us know you’re coming. Sharon Boller is a featured panelist for “The Past, Present and Future of Games for Learning” at 3 pm on Wednesday, 9/30. My session takes four case studies from organizations that have successful used Knowledge Guru games and distills them down to seven practical implementation tips. It’s on Thursday, 10/1 at 10 am. We will show off “Password Blaster”, a mobile game used as part of a large Info Asset Protection curriculum, at DevLearn DemoFest. DemoFest is on Thursday, 10/1 from 4-6 pm. Sharon Boller will give her concurrent session on digital game design on Friday, 10/2 at 10 am. Can’t attend DevLearn? We’ll be sharing some of the content we are discussing and presenting from our Knowledge Guru twitter account. If you are coming to the conference and would like to meet, drop us a note.